We teach Science through a programme called Science Bug, which is an exciting hands-on science programme designed for today’s curious kids! It helps to help spark imagination, fuel curiosity and nurture inspired and confident young scientists. We know that children construct their understanding of the world through experience. 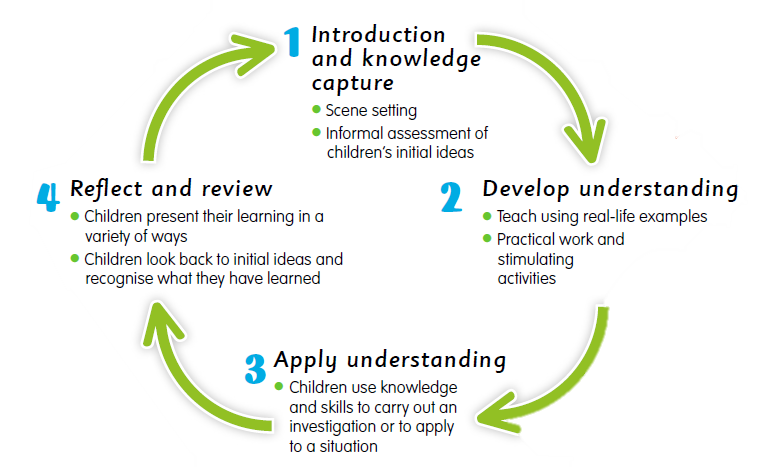 In order to make learning real, children need to explore, ask questions, and assess their understanding. We teach Science on a robust teaching and learning cycle that puts children and hands-on, active learning at its heart and ensures progression for all. We believe that to instill scientific confidence in children and to inspire future generations of young scientists, we need to spark their imagination and fuel their curiosity with hands-on, experiential science.